NEW PRODUCT – Alkaline 9V Battery « Adafruit Industries – Makers, hackers, artists, designers and engineers! NEW PRODUCT – Alkaline 9V Battery – Battery power for your portable project! These batteries are high quality at a good price, and work fantastic with any of the kits or projects in the shop that use 9V. These batteries are Alkaline (MnO2) chemistry, with a voltage range of 9.6V (fresh) to 4.8V (dead). The mAh capacity depends on discharge usage but at 50mA rate it is about 500mAh (check the datasheet in the download tab for more details). These work perfectly with our 9v clip, 9v holder, and digital multimeter. 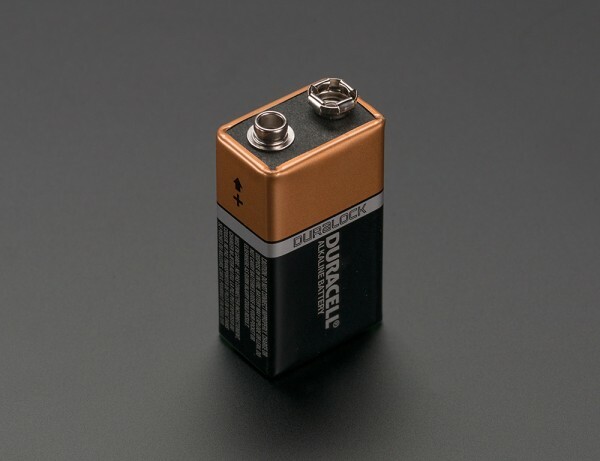 Duracell is one of the best batteries. I can’t put anything less than Energizer or Duracell in my smoke detectors because they won’t last six months.